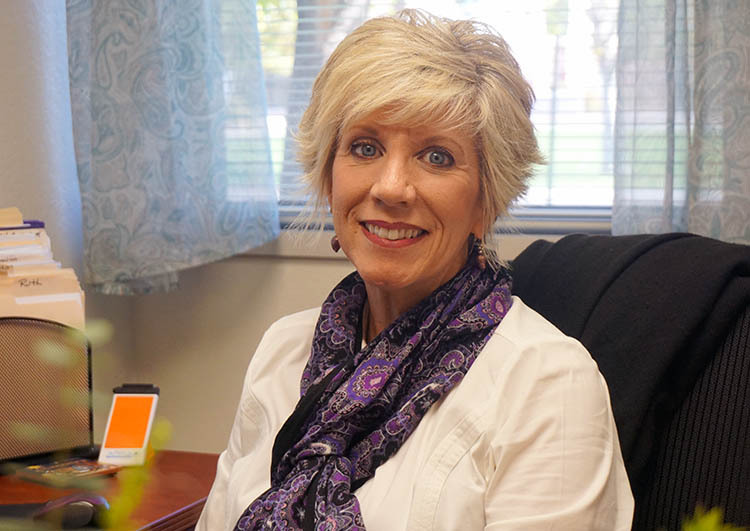 Dr. Lisa Smith is the new dean of the College of Nursing and Health Care Professions at Grand Canyon University. Dr. Lisa Smith is very humble when it comes to speaking about herself. However, if you want to know what motivates her, ask her about her faith. 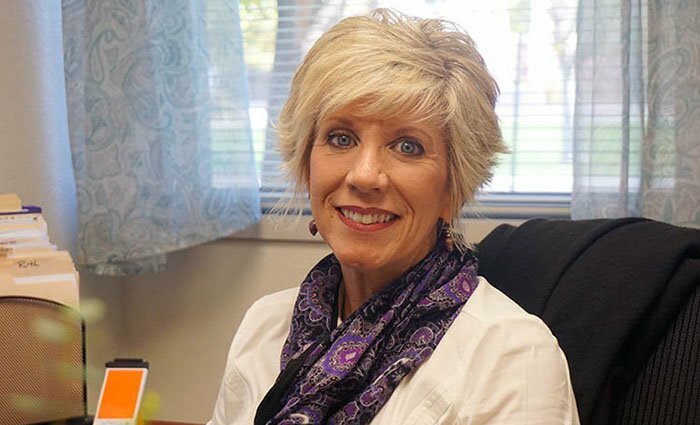 Smith, the newly appointed dean for the College of Nursing and Health Care Professions at Grand Canyon University, says her faith affects all aspects of her life personally and professionally, and she recognizes the significance of her new position. That drive impacts her ability to serve students and to support the college’s accredited nursing programs. “Whether I am interacting in meetings, with faculty or with students at GCU, my heart is about serving and that makes work meaningful,” she adds. She calls this moment in her career “a steppingstone” in the world of academia. Smith succeeds Melanie Logue, who has taken on a research position. “Her greatest strength is that she is a God-fearing woman who always has a smile on her face,” says Tiffany Taylor, graduate program manager in CONHCP. Smith already has made an impact with her leadership — she spent 1½ years as assistant dean in CONHCP and 20 years in hospital nursing, 15 of those in managerial and executive leadership positions — including chief nursing officer with a for-profit hospital system, Hospital Corporation of America. Smith pursued a bachelor’s in nursing from Salisbury University in Maryland and later went on to earn an MSN, with a specialization in health care education, from the University of Phoenix and a doctorate in nursing from Barry University in Miami. She also is a certified nurse educator and has been teaching other nurses and nursing students since 1988. Smith and her husband, Todd, vacationed in Arizona over the years before she began to think about getting into teaching full-time and eventually narrowing her focus to GCU. She arrived from Vero Beach, Fla., in 2015. Smith lives in Goodyear with her husband and her Yorkie, Coco. She is a proud mother and grandmother. Lisa was my boss back in 91 at Lawnwood Medical Center. She hired me. She was an awesome boss and friend. Congratulations Dr. Smith.